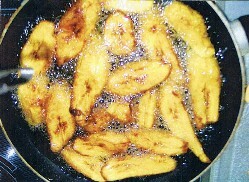 Cut the pieces as shown and fry in a deep pan until golden brown. 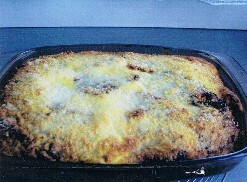 on top some of the egg, cheese and condensed milk. Add as many layers as you can. 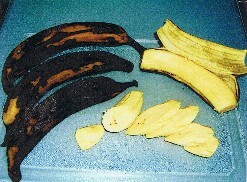 Preheat oven to 180° C and bake for 20 mins. 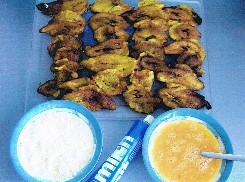 frozen pieces of fried plantains.